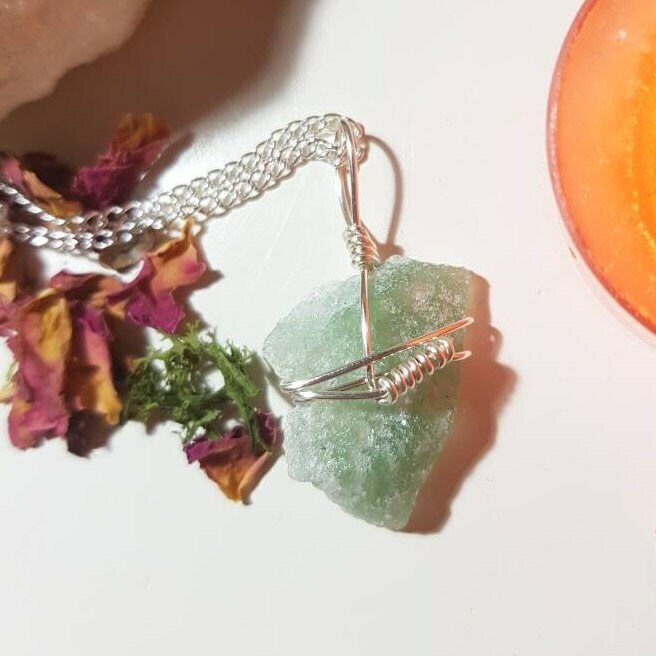 Wire wrapped Green Aventurine necklace. Wire, chain and findings are made of plated silver. Necklace measures approx. 50cm. Pendant measures approx. 4.2cm x 2.3cm. 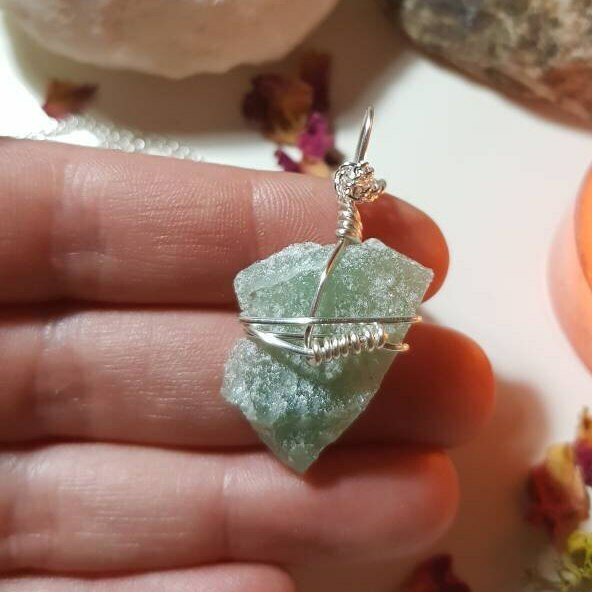 Green Aventurine is an all-around healing stone with benefits for the lungs, liver, sinuses, and heart. Use Green Aventurine to loosen and release negativity and energy blockages, including disease. 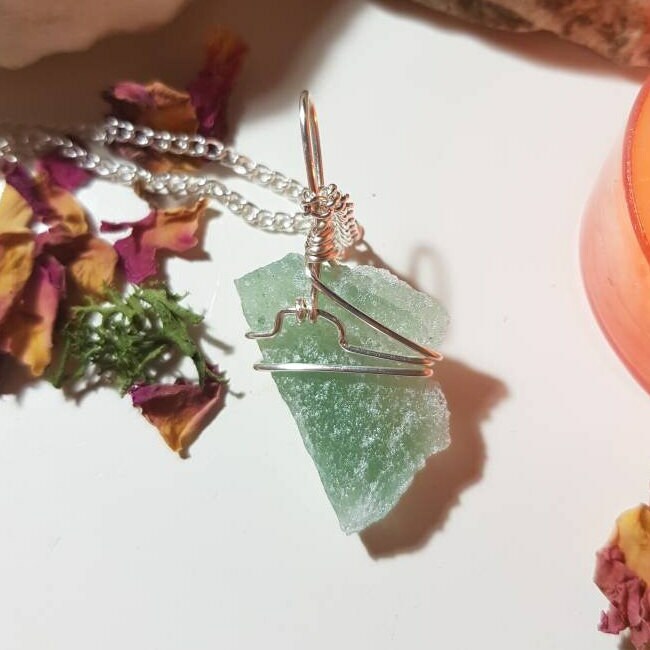 Some wear or carry Green Aventurine to increase intelligence, perception and creativity.